This past weekend most of the students from the bucking & limbing course reunited for the felling portion. We worked the same area again and actually ended up setting up logs for the next b&l course in Jan.
Disclaimer: We were cutting down dead trees (ie fire, insects, disease). 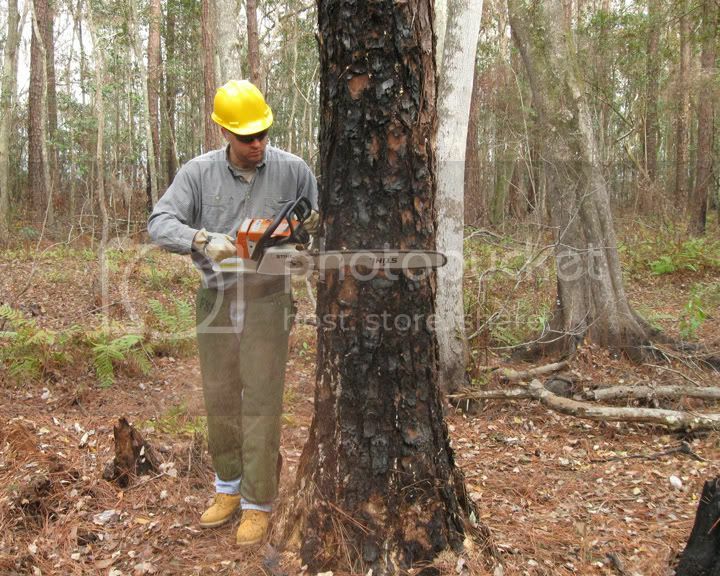 No live trees were cut down during this exercise. The cut we were doing is an open face. A traditional cut consists of a 45* and horizontal cut to create the wedge. With an open face you cut two angles. This creates a greater degree of control as the tree falls. Of course, it wouldn’t make much sense to start cutting down 80′ trees without practicing your techniques first. 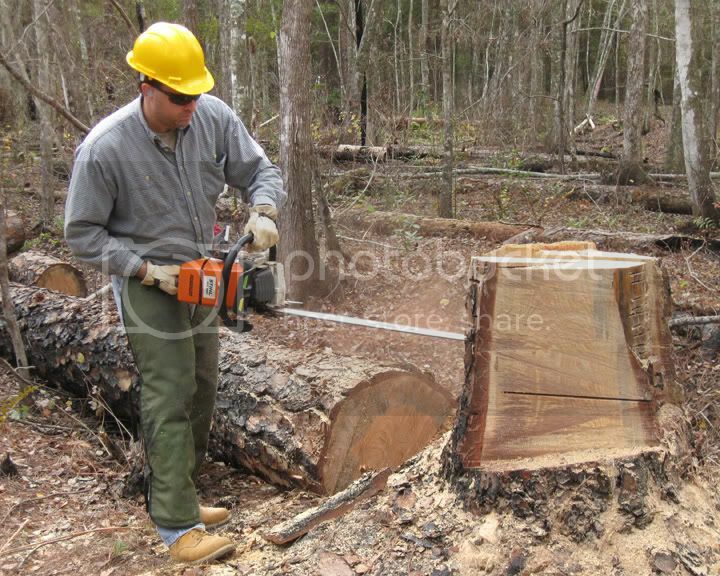 After using the stumps from our B&L class to practice our face cuts it was on to the bore cuts. Our instructor cut a stump leaving two 6-8″ wide strips. We had to bore through the width of the tree without coming out the side. Here’s what it looks like. This will give you a little idea of how much wood we had to go through. After making the face cut and the bore cut (this includes cutting the right amount of holding wood) you still have a backstrap. Even with so much wood removed, the tree is still sound. 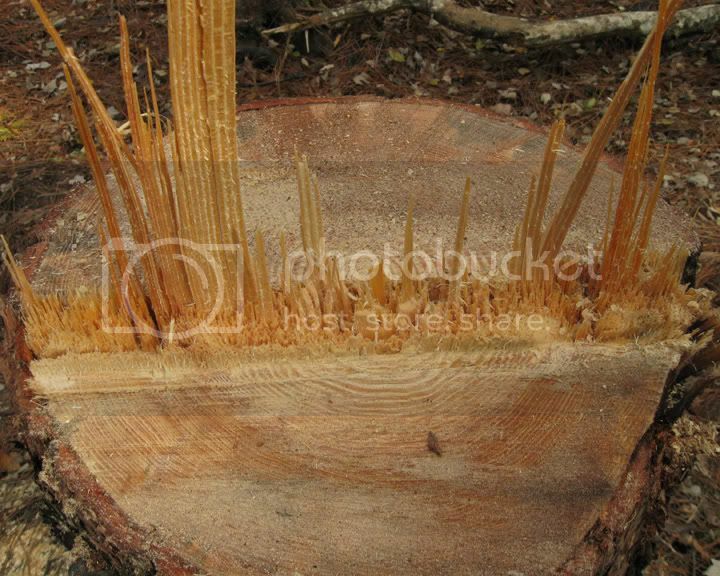 Unlike the traditional or Humboldt cuts, you can walk away from the tree with an open face and it’s still a safe tree. You don’t have anything to worry about until you release the tree by cutting the backstrap. So after some practice cuts it was on to the trees. 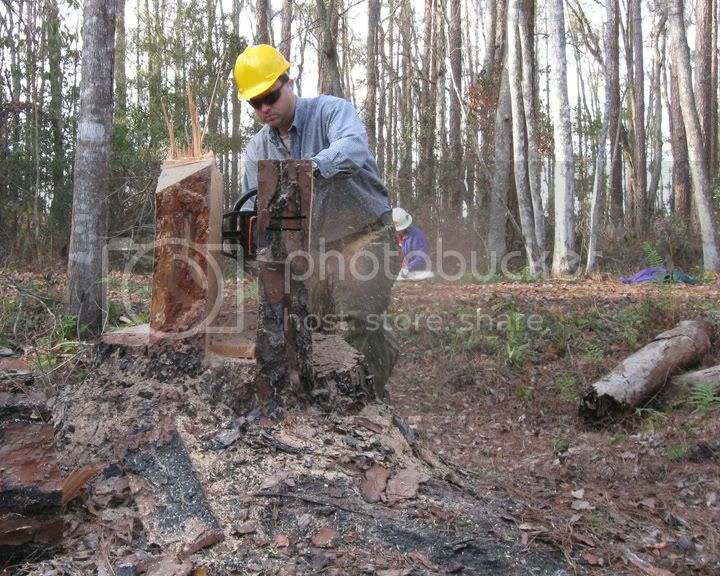 This is me making the face cut on my first tree. And the aftermath. The key about this image is that my target was the burned out snag. You might notice that the tree I cut down is laying right next to it. 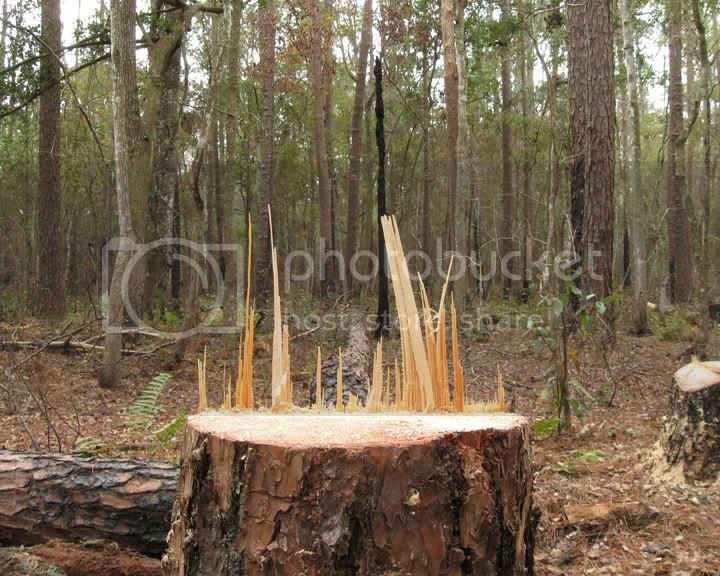 Remember, this is the first tree I ever cut down. I hit the snag I was aiming for I broke off the top 4-5′. The fibers sticking up are part of the holding wood or the hinge. This helps control the tree on its way down. Notice that I have fibers all the way across. That’s good holding wood baby. Here’s a better view. Notice the nice face cut, near perfect holding wood, and a level back cut. Here’s a very brief video of my first tree coming down. Unfortunately I’m not in the frame. Oh well. So there ya go. 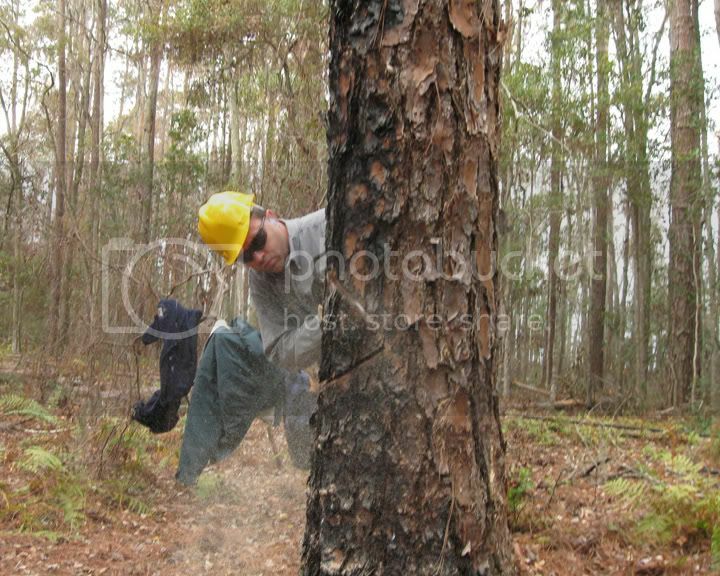 We had a great time and look forward to using our skills to maintain the Florida Trail.